Hey everyone! I’m excited to announce that my font JEROME has been featured in this months bundle over at the fine folks at Pixel Surplus. Looking to bolster your font library? This is the bundle for you! 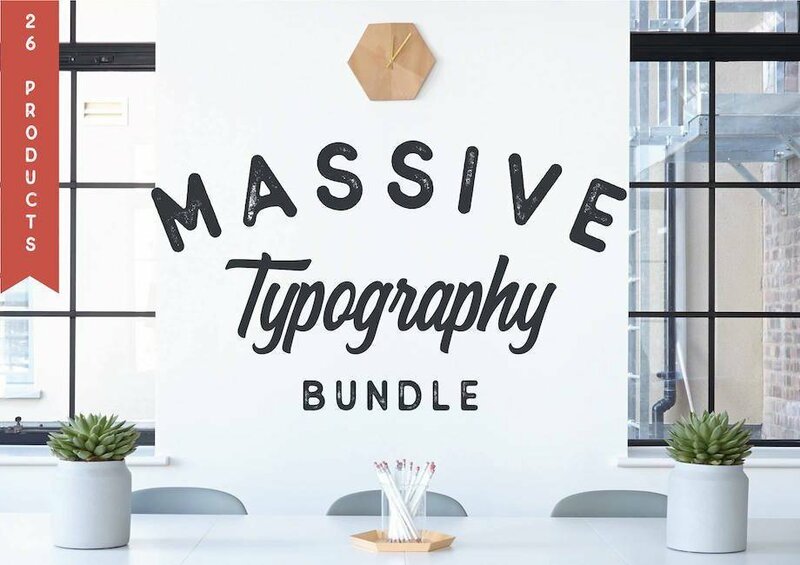 The Massive Typography Bundle is a huge collection of 79 individual fonts. One of our best deals ever, this bundle saves you over $500 of the regular retail price of these products. You’ll find a huge variety of products and several deep type families with 6 or more styles, something for all of your design needs.